South Korean President Moon Jae-in said that his country intends to ensure full implementation of the latest agreements that Kim Jong-un and Donald Trump signed at the Singapore summit earlier in the day. The South Korean president also stated that Seoul will “accompany Pyongyang on the path of peace and cooperation,” vowing to write a “new history” with North Korea. “Leaving dark days of war and conflict behind, we will write a new chapter of peace and cooperation… The June 12 Sentosa Agreement will be recorded as a historic event that has helped break down the last remaining Cold War legacy on Earth” Moon said in a statement released by his office. 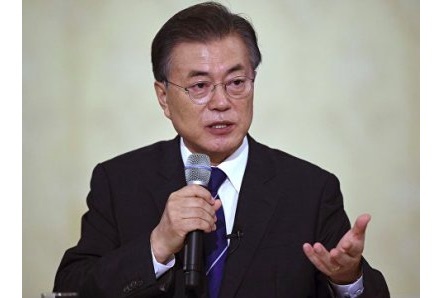 Earlier in the day, Moon Jae-in expressed hope that the US-North Korean high-level summit would pave the wave for an “era of complete denuclearization” and peace in the region. However, his adviser previously stated, echoing the words of the Japanese government secretary, that the complete denuclearization of North Korea might take up to a decade.